Berni here with another creation for the Dies R Us Inspiration blog! The Dies R Us on-line store carries a huge assortment of amazing dies by several manufacturers. Christmas is my favorite time of the year. This is my vision on what it looks like back home. I decided to go CAS on this beauty. I cut white 5x5 cardstock for base. Matted with Red cardstock to leave a small border to show the white. 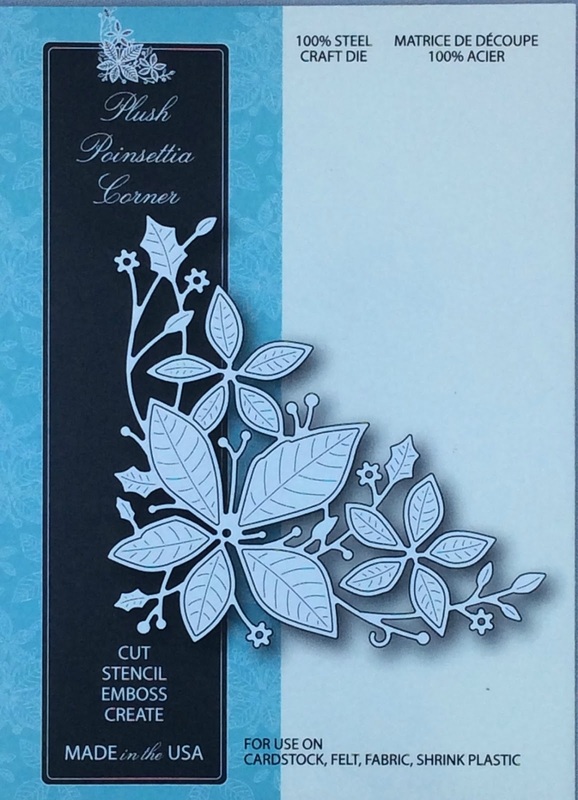 Die cut the Corner Poinsettia in white. Actually, I cut the die twice by mistake, so I decided to add a shadow behind it. Added some berries. Added a sentiment. 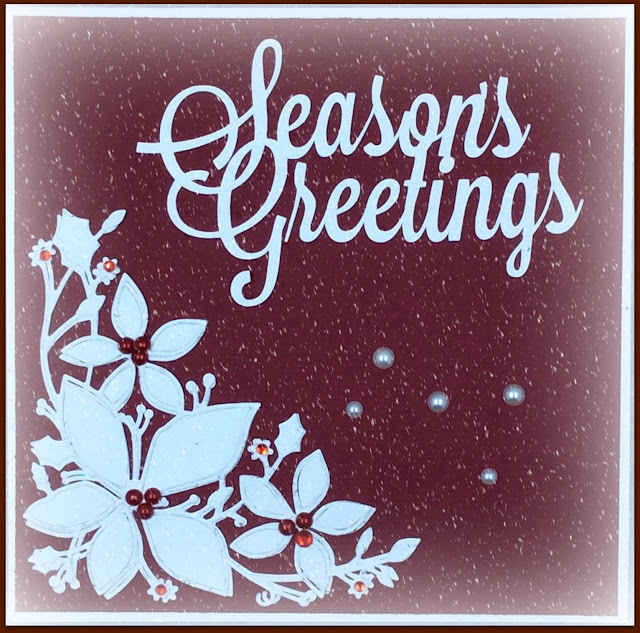 Faded the red cardstock and added falling snow. I love this pointsettia die. A clever effect using two of them together! What a pretty, pretty card Berni! I love the look of the snow falling on the poinsettias. So lovely! so pretty, love the berries added and the snowy background is just perfect!! Just beautiful Bernie! Isn't it nice when a mistake turns out to be a 'good thing!' LOL LOVE your choice of background color and the falling snow is the perfect backdrop for this beautiful die! Great job! It's lovely, Berni! The shadow effect is very intriguing, and those berries are gorgeously placed as a counterpart to the dancing pearls! Beautiful card! Beautiful background color and snowy effect. It makes your card look like a Hallmark.